Salton Sea is making some noise! Two images of the series (Salton Sea_2 and Salton Sea_15) have been accepted into a Juried Exhibition at Arts Benicia titled Altered Landscape. 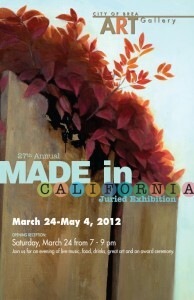 I am very pleased my work has been selected by juror Phil Linhares, former Chief Curator of the Oakland Museum of California, as the show’s goal is exactly what I want the Salton Sea series to do: raising awareness about environmental realities and provoke a dialogue aimed at creating a sustainable future for our communities. The exhibition is sponsored by a major grant from the Community Sustainability Commission and runs from July 17-August 17, 2014. One image of my entirely new series (which doesn’t even have an official name yet) was selected by the Masur Museum of Art in Monroe, LA, for their annual juried exhibition , which takes place from February27-June 14. Stay tuned for the entire series to come up on the website! I will be chairing a session on the legacy of Feminist Art at the 70th annual Southeastern College Art Conference in Sarasota, Floria, October 8-14. The call for papers is now online and submissions are welcome! 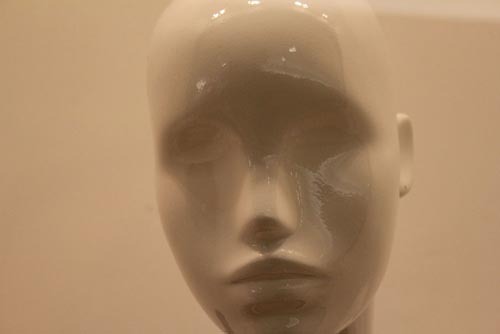 3 months into 2013, 3 exhibits to see: The Rourke Art Gallery Museum in Minnesota is preparing the 4th installment of „Of Memory, Myth, and Bones“ from March 22nd – June 2nd and I am one of the featured artists. »L.A. Theater District_1 and _5« will be on view. There’s even more to see in 2013: The juried exhibition »Photography as Witness: Power and Politics, the charged landscape of the 21st century« at Lockhart Gallery in Geneseo, New York, will showcase a selection of photographs from the »waiting« and »Salton Sea« series. Works in this ambitious exhibition interrogate contemporary issues and document our global conditions and challenges. Women, heads up! (And men , too …) I have been selected to participate in an exhibition at the wonderful Women Made Gallery in Chicago – from January 18 to February 21, 2013 some of my »balconies« will be on view in »Public/Private«, an exhibit that examines how artists perceive and deal with the enormous shifts in cultural and political conceptions of what is considered private or public and in how far the individual still has control. Date & Time: Saturday, February 16 2013 ,9:30AM-12:00 Location: Beekman Parlor, 2nd Floor, Hilton Hotel New York, 1335 Avenue of the Americas. and here‘ s the abstract of my talk! Finally, two new projects made their way to the public after strenuous weeks of pondering, decision making, and arranging. 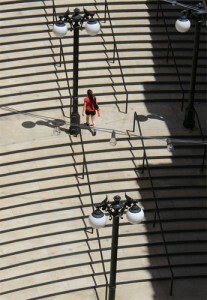 Focusing on issues of transition, turns, and transience, my latest endeavors »L.A. Theater District« and »Salton Sea« relate to topics of cultural identity and economic ideals and illusions. For detailed facts and a more elaborate depiction of the history of Salton Sea, I recommend this article by Matt Simon in Wired Science, which also served as the source of my quote. I am very excited that I have been chosen to present my studies at the College Art Association’s 101st Annual Conference in New York, February 13-16 2013. I will participate in the panel „Creative Kitchens: Art, Food, and the Domestic Landscape after World War II“ — follow up for further information, date, time, location, and an abstract of my talk! here are the first impressions of the new project »waiting«. I never thought it would be so difficult to find people just waiting. Not only is it a rare sight per se as life shifts away from the street – the open, the public. But also because the majority of people obviously can’t just be, without any form of input, without consuming anything whatsoever. Check out the press coverage of the „Anti-Consumerism“ art contest in German Sueddeutsche Zeitung and Austrian Kurier, which features my entry. 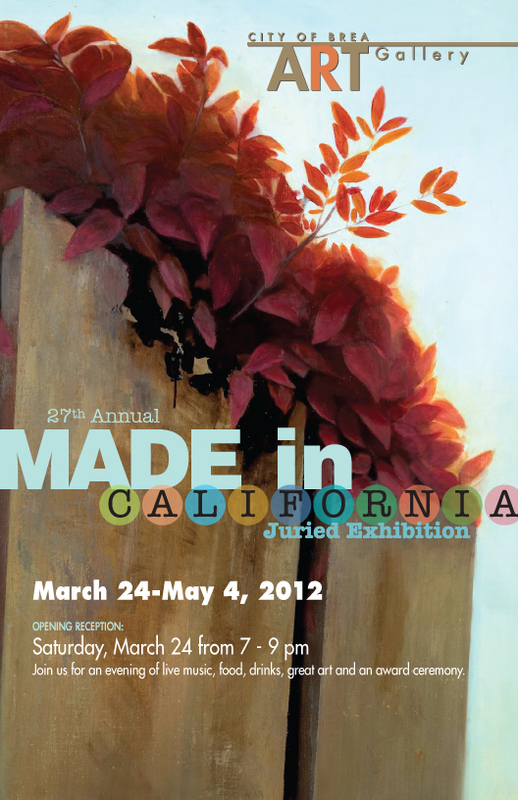 I have been selected to participate in the annual „Made in California“ Exhibition at the City of Brea Art Gallery. 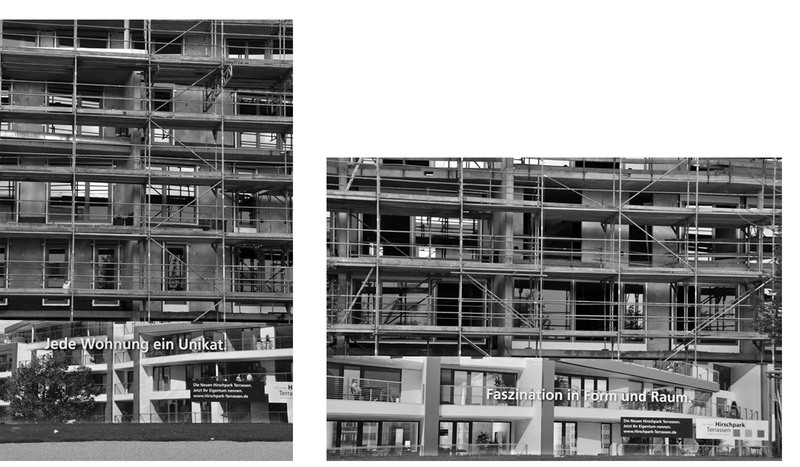 On display will be a selection of both »man-made« and »balconies«. talk at the 47th Annual Comparative Literature Conference Drawing the Line(s): Censorship and Cultural Practices at California State University, Long Beach, 2011. This conference is part of The B-Word: Banned, Blacklisted and Boycotted: Censorship and the Response to It, an 18-month campus-wide initiative, running from September 2011 through December 2012, at California State University, Long Beach. The talk takes place on Friday, March 2nd at 11am. I took this photo in the Horton Plaza shopping mall in San Diego, which was „influenced by Southern Mediterranean marketplaces“. 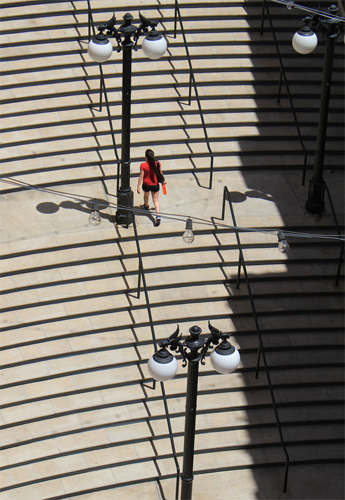 Jon Jerde, the architect of Horton Plaza, coined the term „experiental placemaking“ for conceptualizing his work, and defines it as the „fabrication of rich, experiental places which … inspire and engage the human spirit…“. His stated aim with Horton Plaza was to create a memorable place where people can gather and experience a sense of community. Pretty much the first thing that comes to mind when thinking about the busy, crowded places in Spain or Italy is „people gathering“. But people who do that here in California, especially in or around a consumer temple, loiter, meaning they “ delay or linger without a lawful purpose for being on the property and for the purpose of committing a crime as opportunity may be discovered“. They are unwanted, doing something unlawful, and are used to it – which is what the photo illustrates. The idea behind Horton Plaza (and numerous other projects) does not work out. The image is symptomatical for the paradox that „bringing people together“, the result of which is then suspicious, has to be architecturally designed. It is something that, as the plazas and piazzas show, simply happens if people want to and are allowed to get together. All content is © 2019 by anja foerschner. All rights reserved.